This is a great way to take your coffee to the next level by combing in with the health fats from Bulletproof XCT and grass-fed butter or Ghee. The tastiest and healthiest coffee you will find. Drink on its own or use to make Bulletproof Coffee. 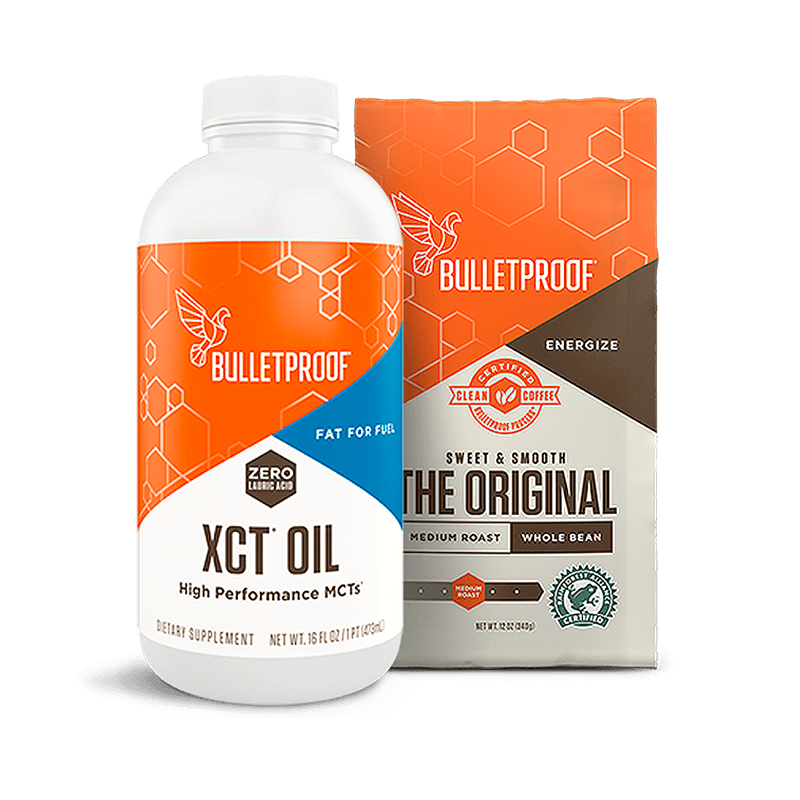 Bulletproof XCT Oil is a unique energy source which is naturally found in small quantities in coconut oil. It is rapidly absorbed in your body and changes into ketones to give you long lasting energy from quality fats rather than sugar. How to put butter in your coffee, the Bulletproof way. Make Bulletproof Coffee right and you’ll feel the difference with your first cup. Add 1 Tbsp of grass-fed, unsalted butter. If you’re new to Bulletproof Coffee, add 1 tsp (5 ml) XCT Oil to your coffee, gradually increasing each day up to 1 Tbsp. Blend for 20–30 seconds until it’s creamy and frothy. Contains 30% 8-carbon and 70% 10-carbon medium-chain triglycerides from coconut oil. Note: Processed in a facility that also processes tree nuts, peanuts, egg, soy,milk, wheat, fish, crustacean shellfish. to optimal health and wellness. Supplements should not be used as a substitute for a healthy diet and lifestyle. Always read labels, warnings and instructions provided with products before consuming or using any product. If you are 18 years or younger, pregnant, breastfeeding, on medication, have a medical condition, or are allergic to any listed ingredients, please consult your doctor or healthcare professional before using a product. If adverse reactions occur, discontinue use immediately and consult a doctor. Where applicable, do not use if safety seal is broken or missing. Keep out of reach of children. Unless clearly stated otherwise, Functional Self is not the manufacturer of products sold on our website. Although we endeavour to make sure information about the products we sell is correct, manufacturers may change product information, and information on packaging and labels may differ from information on our website. We strongly recommend that you do not rely solely on information from our website, but always read labels, warnings and instructions provided with the product before consuming or using any product. If you have any concerns, please contact the manufacturer. 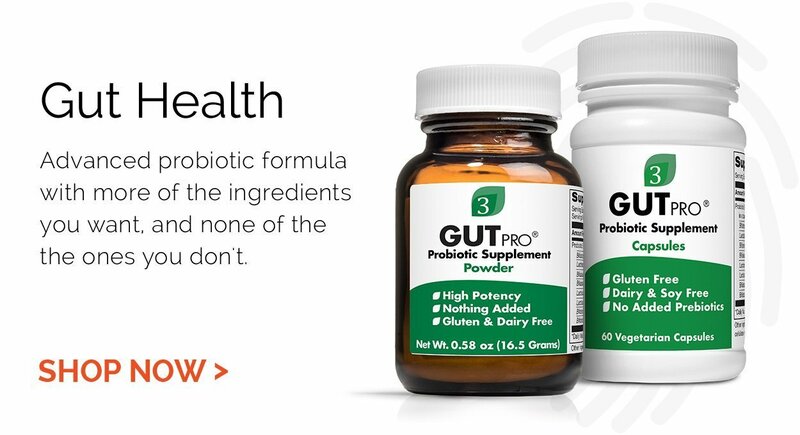 Products sold through this website and information contained on this website are not intended to be used to diagnose, treat, cure or prevent any disease or health condition. Functional Self accepts no liability for inaccurate information on the part of manufacturers.